December 1st! Somebody tell me where the year went! Y’all, I have to tell you that 2018 has been a blessed year around our house and I hope it was at yours as well. Here’s what I’ve been up to for the past month. Check out the cutting mat I picked up at the Quilt Festival in Houston last month. This thing is like a football field! I absolutely love it. I got it at the show price of $75. I’ve been butting up two large green Olfa mats for some time now and inevitably they come apart in the middle and the rotary cutter won’t cut there or if overlapped, they were like a ski slope. I’ve wanted a heat press for some time as well, and I picked up this 6″ x 7″ for just $99 along with a mat and pressing sheets on Amazon on Black Friday. I don’t do a whole lot of heat transfer vinyl (I don’t have the room in my world for that craft) but the girls at work decided we’d all look the same on Fridays this month and we all got this bling design to go on black t-shirts. I needed an iron right? My blogger buddy Joy would just love this! Sorry Joy, when we bought the bling pieces at work, you and I weren’t in contact yet or I’d of made one for you. I’ll think of you every time I wear it though! Isn’t she a peach? You guys have to go check out Joy Bernhardt on YouTube and her blog at Joyful-expressions.blogspot.com. Joy is bubbly, happy, and always up to something. I just love her videos and following her around in her sewing room. That’s a new BabyLock Solaris hiding under the new cover she made for it. Can’t wait to see what she starts doing with that beauty! When I went to the DIME Stitch Lab in The Woodlands in Sept, I bought a piece of software called Word Art in Stitches and let me tell you, I love this thing! I’m a member of the Daughters of the American Revolution (I have like 13 American Revolutionary War ancestors) and my local chapter wanted to have matching embroidered blouses that we could wear to public events where we wouldn’t normally be wearing our ribbons like in chapter meetings or State conferences. I came up with this design and I’m testing it out right now on “like” fabric to see how it’s stitching out. The micro-fonts in WAS are exactly why I purchased this software. The lower case letters are about 1/4″ tall. Look how clear they are! Not sewing related, but would you look at the price of fuel here in South Texas? WOW! We had an amazing feast for Thanksgiving at the Hurricane in Port O’Connor. There was so much food with great friends. The restaurant provided the turkey & ham and everyone was asked to bring a side. I brought two homemade pecan pies. We had a wonderful time and I didn’t have to kill myself cooking and cleaning. Perfect! Keith gave the blessing and it’s got almost 400 Likes on FaceBook. While we were in POC, I stopped by Beefore It’s a Quilt in Port Lavaca, and picked up a kit for this quilt. It’s just perfect for my house in LaVernia. It’s really lovely and the photo doesn’t do it justice. It’s a Villa Rosa pattern and sometimes the simplest patterns make the prettiest and most satisfying finishes. I made a couple of these embroidered toilet paper rolls as a gag and Keith took them in to the office as a show-n-tell. Now I’ve got orders for 5 of them! Thanks for adding to my to-do list! Ha! If you want to know how to make these, there’s a bunch of videos on YouTube. The Christmas Scenes quilt is off the longarm and bound. It turned out so pretty! My local quilt store, Scrappy Quilter in Schertz, Texas is moving. They found a place twice the size across the street from their old shop. I stopped by to lend a hand and they put me to work moving about 100+ bolts of clearance fabric from a huge pile on one end of the store into a display on the other end. I had a blast! I’m working on a quilt for a grandchild for Christmas. Nothing like waiting until the last minute. I’ve got to get this finished, longarmed, bound, and mailed in the next two weeks. Yikes! 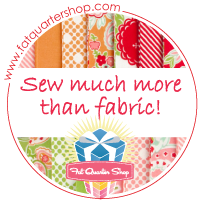 I need to quit blogging and get sewing! What are you working on?